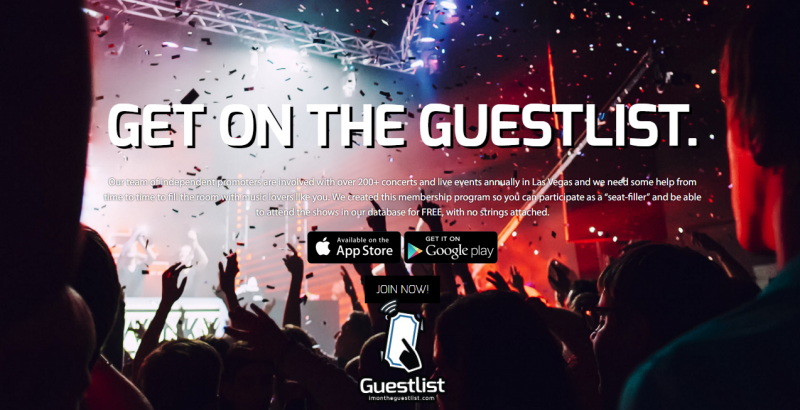 I’m On The Guest List originated from a team of independent promoters focusing primarily on concerts and live events. Collectively, they are involved with over 200+ concerts/events annually in the Las Vegas market and need some help from time to time to fill the room with music lovers. So they created this membership program that enables you to participate as a “seat-filler” and be able to attend the shows in our database for FREE, with no strings attached.